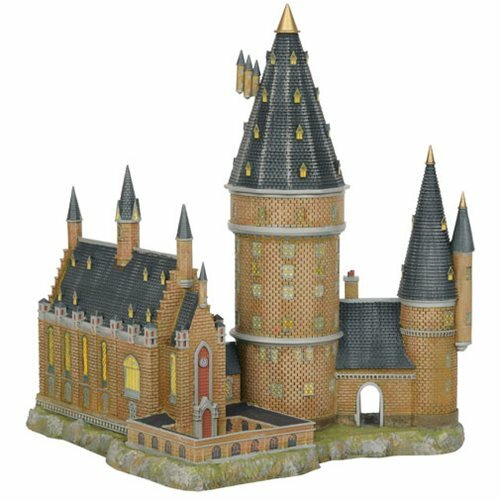 Considered a castle, Hogwarts School of Witchcraft and Wizardry, is the main fictional setting of the Harry Potter Novels. The Department 56 depiction shows a portion of the campus, highlighting the Great Hall and the Great Tower. 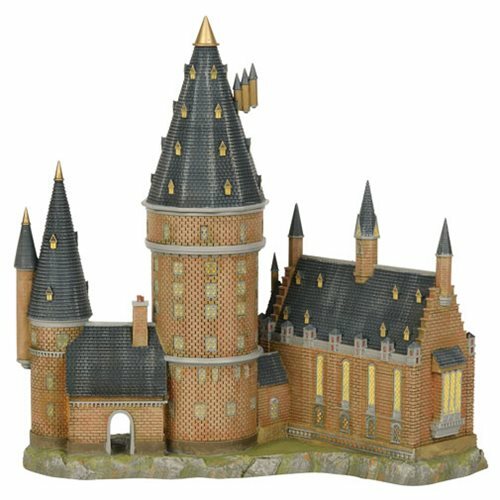 The Harry Potter Village Hogwarts Great Hall and Tower Statue is a must have for fans of J. K. Rowling's Wizarding World. The statue features LED lights that are powered by the included AC power adapter. Measures about 13-inches tall x 10 3/5-inches long x 10 1/2-inches wide.